Anna Taylor offers three lessons for cities seeking to adapt to climate change. Originally published by The Conversation Africa on June 21, 2018​, this article draws on her experiences living in drought-stricken Cape Town and on her research into adaptation, decision-making and governance for SEI and the African Centre for Cities at the University of Cape Town. Anna is a co-founder of weADAPT and an editor for the Urban Adaptation theme. 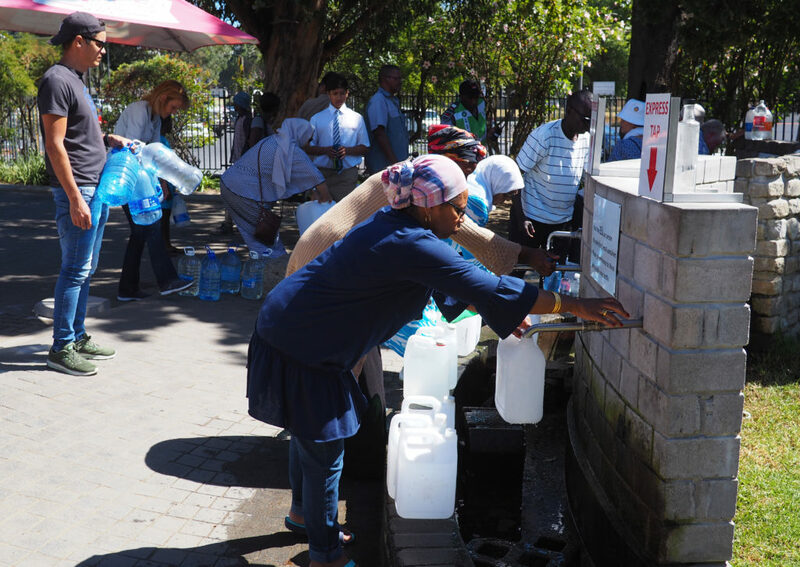 Residents of Cape Town queue for water during the drought. Photo: fivepointsix / Getty Images. Cape Town’s “Day Zero” experience – the prospect of dam levels dropping dangerously low, taps running dry and water rations being distributed from public collection points – speaks powerfully to the urgency and complexity of climate change adaptation. Cape Town’s crisis has shown how important it is for such technical deliberations to be opened up to public and political engagement. If this doesn’t happen, all the planning in world won’t help – because people will ignore or resist the planners’ conclusions. When leadership is defensive and divisive, as was the case in the early stages of the Cape Town water crisis, it leads to much blame and finger pointing. This can cause uncertainty and fragmented and inconsistent responses – which is exactly what happened in Cape Town. In the case of adapting Cape Town to periods of water scarcity in the future, potential actions range from households and businesses reusing greywater on-site (for example using shower water to flush toilets) to the large-scale harvesting of stormwater to recharge underground aquifers. Many of these changes are costly and run the risk of further entrenching inequality and exclusion. Wealthy homes and businesses can afford to buy water saving technologies and alternative sources of water, like private boreholes, while low-income households and small businesses face rising municipal water bills.